• Quality ball pen with gripping area. • Bright solid all-metal cone for added strength. • Contains Lubriglide® ink for smooth performance. • Water and light-resistant ink. 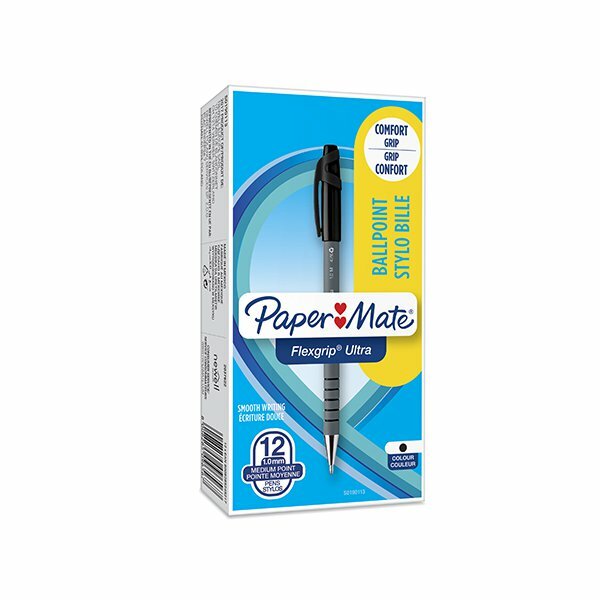 Supplied in a pack of 12, choose PaperMate Flexgrip pens for comfortable, high quality writing in any environment. 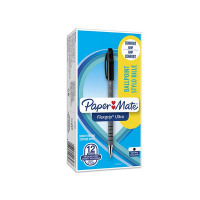 Paper Mate's Lubriglide ink provides smooth and clear lines when writing all day long. Like all Flexgrip pens, these pens feature a rubberised full-length barrel that provides all-day comfort and control. These pens feature a cap that protects the nib and prevents ink from drying up when not in use.